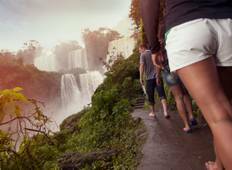 Discover Discovery tours that depart from Buenos Aires and end in Rio de Janeiro. Trips from Buenos Aires to Rio de Janeiro are most popular in January, with the most tours doing this route then. "Was a grat trip,great group and great guide. Very indepth knowledge of the places..."
"My mom and I went on this trip together and had the best time. We had at least 2-3..."
"The tour is one of my lifetime's best experience. It was great and definitely worth..."
"The overall tour was fantastic. 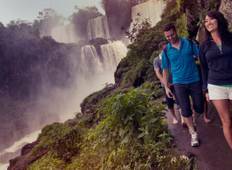 Our guides in Buenos Aires and Rio de Janeiro were..."
"Great trip! Very well organized and lots of fun! Perfect amount of activities, adventure,..."
"My second visit to this lovely city. Love the long walk along the beaches. Ideal..."